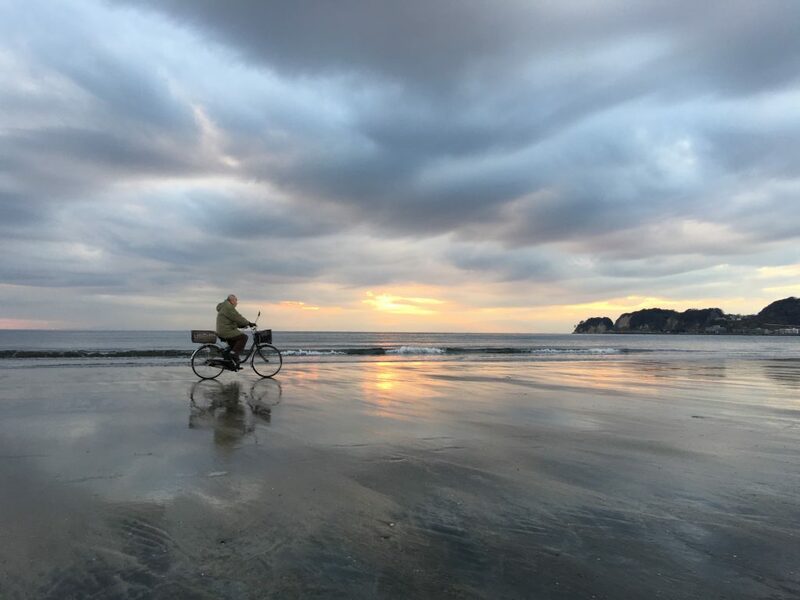 Let's enjoy the touring in this sleepy & charming town Kamakura by bicycle! 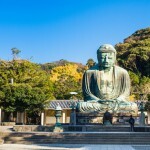 Kamakura is one of the old capital of Japan, with rich history & nature. 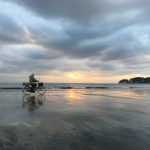 This tour covers the scenic view points along with the beach, and some must see spots in the town, Big Buddha, Zeniarai Benten, and Tsurugaoka Hachimangu Shrine. You can also enjoy the bike ride through some backstreet, where only locals know. 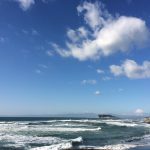 Being picked up by your guide, and transfer to Kamakura by local train through the typical industrial & residential area in Greater Tokyo. 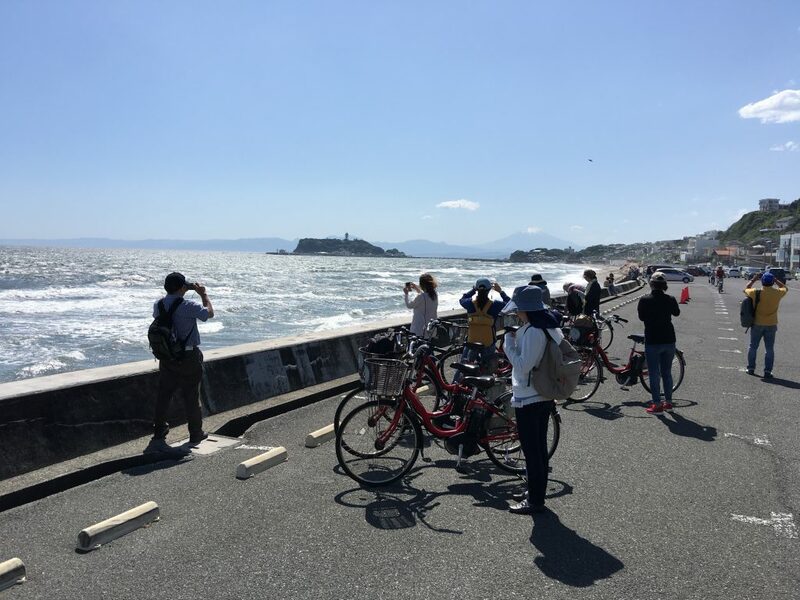 When you get to JR Kamakura Station, rent a bicycle, and the tour will start. Firstly, your guide will take you to Zeniarai benten Shrine, through narrow streets of the town. These narrow streets preserves the atmosphere of the old days. On arrival to Zeniarai benten Shrine, you will walk throuth a tunnel, and visit the main shrine with small pond. It is believed, when people wash their money in the pond, the money will increase & the person will get rich. With this belief, this shrine is very popular, and always very busy. 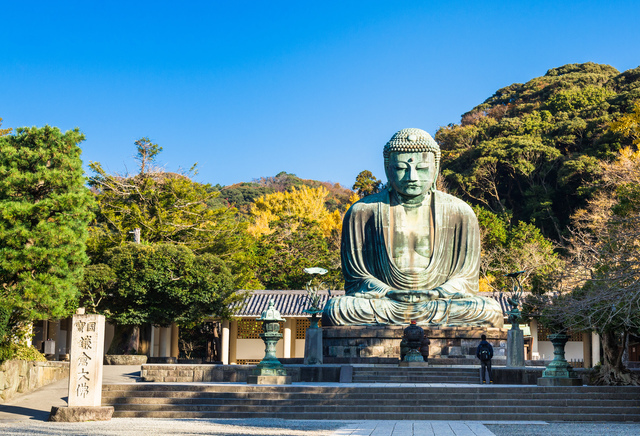 After visiting Zeniarai Benten Shrine, the bicycle ride will continue to world famous Big Buddha. You will cycle through the narrow back street of the old residential area of Kamakura, and then get to Big Buddha. Taking pictures with Big Buddha & spend some time, you will have a lunch break in the area. There are pretty cafes & some local restaurant serving good food, so please enjoy. After having a lunch break, continue to Shichirigahama via Inamuragasaki, known as one of the historic battle field in Samurai Era. If you are lucky, you will have a chance to see Mt. Fuji behind the coast line & hills. 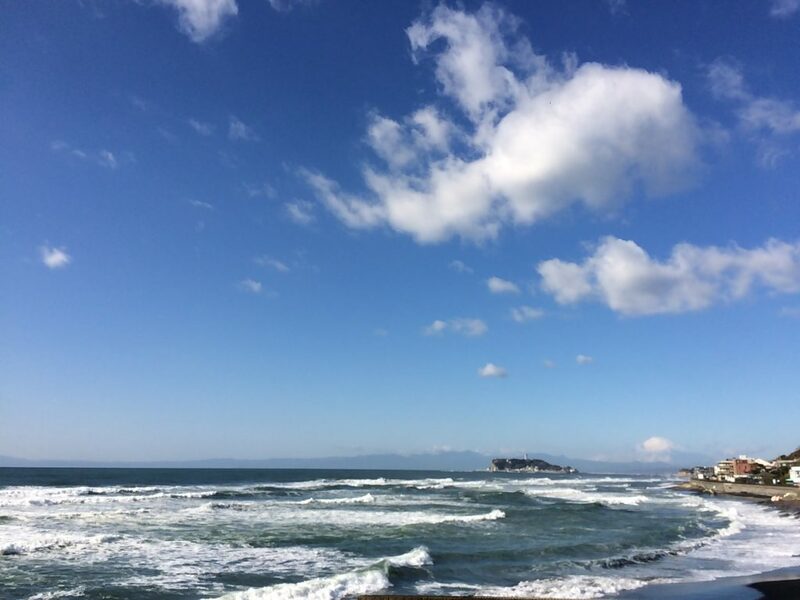 After Inamuragasaki, you will ride down Yuigahama beach, and get to Tsurugaoka Hachimangu-Shrine, which is the main shrine of the town. In the end of the tour, you will have free time on Komachi Street, where many shops & restaurants are lined up along with the street. You will be enjoying food sampling of local food, as well as souvenir shopping. 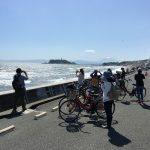 After enjoying the tour, get on the train from Kamakura Station, and go back to the hotel in Tokyo *Tour Route may vary. ・Public transportation fee for JR and subways (For taxis or hired cars, actual additional fee will be charge. ◆We cannot offer this program for those who have height less than 140cm. ◆During weekend, it will be difficult to offer a best fitting bicycles for those who have height more than 180cm. ◆In case of raining, the tour will be operated by public transportation, instead of by bicycle. ◆Tour order may vary, due to the weather condition.